The first time I watched Adult Swim’s “Metalocalypse,” I was completely blown away by the animated series’ perfect combination of humor, breathtaking art, long-form storytelling and searingly hilarious insight into the process of making music. 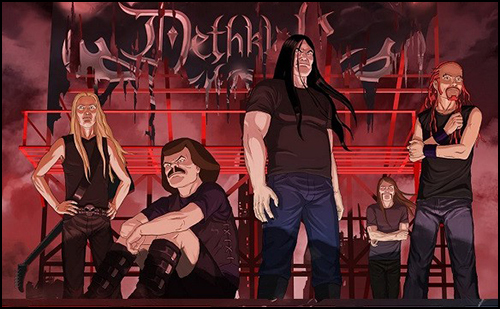 The band in the show, Dethklok, had a fantastic heavy metal sound, and I immediately heard influences of Queen, Metallica, Iron Maiden, Ennio Morricone and Basil Poledouris. Brendon has followed up the fourth season of “Metalocalypse” with an ambitious new musical, a true rock opera that is entirely sung. There is no spoken dialog whatsoever. He asked me to oversee and produce the orchestra, which was a dream come true. In my video blog, I sit down with Brendon and we discuss how the project came to be and the process of working together. Collaborating with Brendon was a fun change of pace for me. Obviously, I spend the majority of my time writing original music for film and television, but here I had the chance to bring an orchestral touch to someone else’s music. “Doomstar” was actually the second musical I’ve been involved in this year, after Raya Yarbrough’s “North of Sunset West of Vine” last June, where I also served as music director and produced arrangements. When helping to arrange someone else’s music, I find that I’m liberated from the usual pressure of actually conceiving it. I get to jump right into the fun stuff, and imagine orchestral colors. And it helps when the music I’m working on is as catchy and fun as these songs! 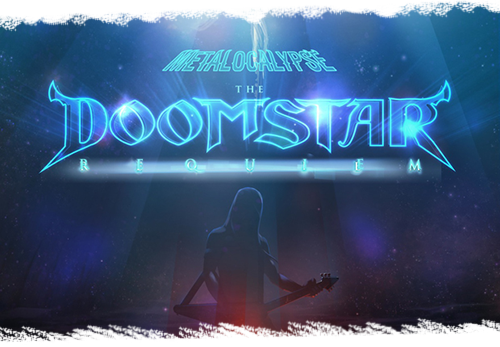 “Metalocalypse: The Doomstar Requiem – A Klok Opera” premieres tonight on Adult Swim. The album comes out on Tuesday, and includes a bonus single as well as an additional track called “The DOOMSTAR Orchestra” featuring the orchestra presented alone, without the death metal band. I’m excited that fans will get this unexpected chance to hear my orchestral passages clearly. I am so proud to be involved in this project, and to collaborate with Brendon Small and the world-class talent he brought in, including Gene Hoglan, Bryan Beller, Mike Keneally, Raya Yarbrough, Jack Black, Mark Hamill and many more. I’ve been waiting years to be able to say this: I collaborated with Dethklok! 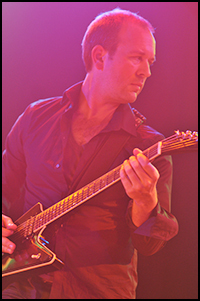 UPDATE: The album is up on iTunes, and available with a complete libretto from Brendon Small’s website.